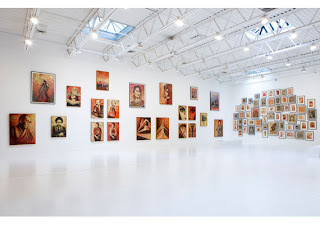 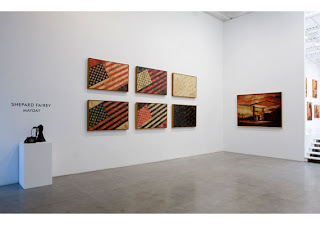 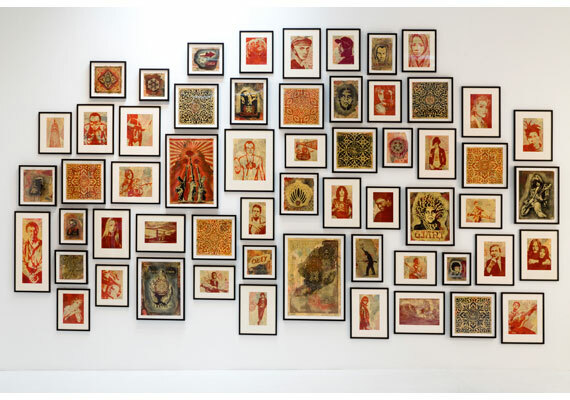 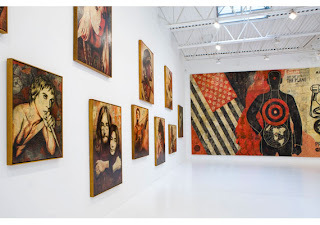 For his most recent installment, now celebrity street artist Shepard Fairey has taken over the Deitch Projects show space in Soho with his exhibition, "May Day." Not surprisingly, the art displays his standard propaganda pieces with underlying messages for the masses. 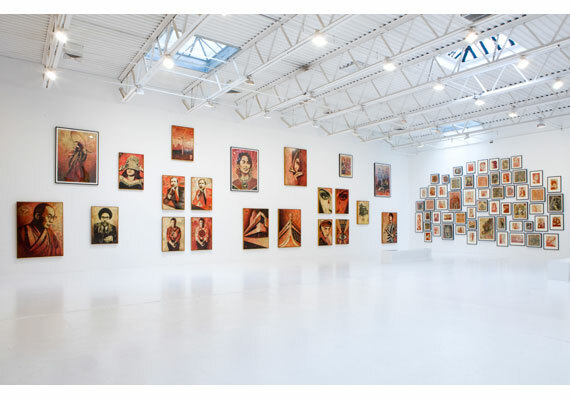 The show depicts a series of iconic revolutionary portraits and images in a series of red and black color variations and is not one to miss. 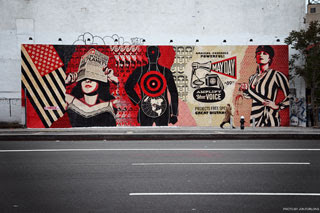 As part of the exhibit, the noted creator of the iconic OBEY pieces also put a mural up on Houston street in NYC for the public to enjoy on their daily commute. 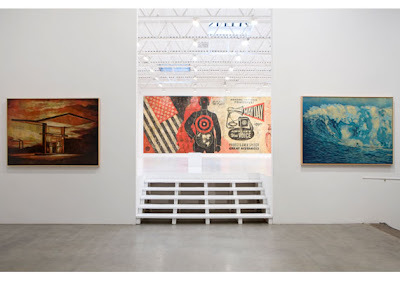 Be sure to get over and see the exhibit soon as it only runs through May 29.